Having children that not only are picky eaters but also suffer from severe food allergies can often make something as seemingly simple as going out to eat a grueling experience. I am pleased to say neither of these problems were an issue for our family during a recent evening dining out at nkd pizza's newest Michigan location in the city of Sterling Heights at the corner of 16 Mile Road and Dequindre. 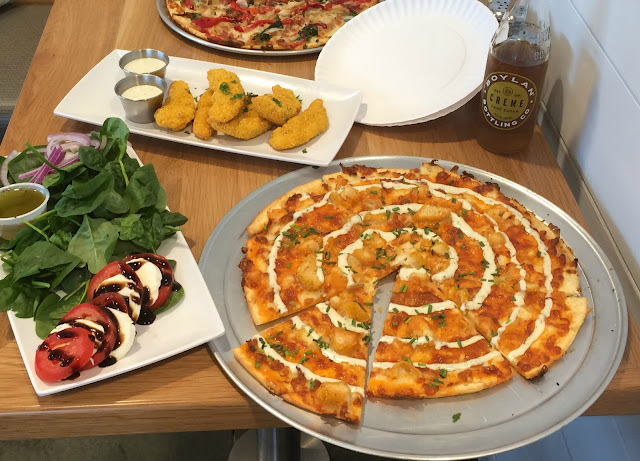 nkd pizza creates a new standard for the term "comfort food" as in addition to its offerings being great tasting their food is also prepared with healthy ingredients in a thoughtful manner that will give people with food allergies some comforting peace of mind about eating items from there. What kid doesn't like pizza?! 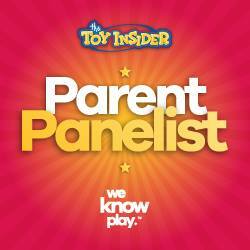 Well my son apparently is the odd one out because he won't even try the stuff. 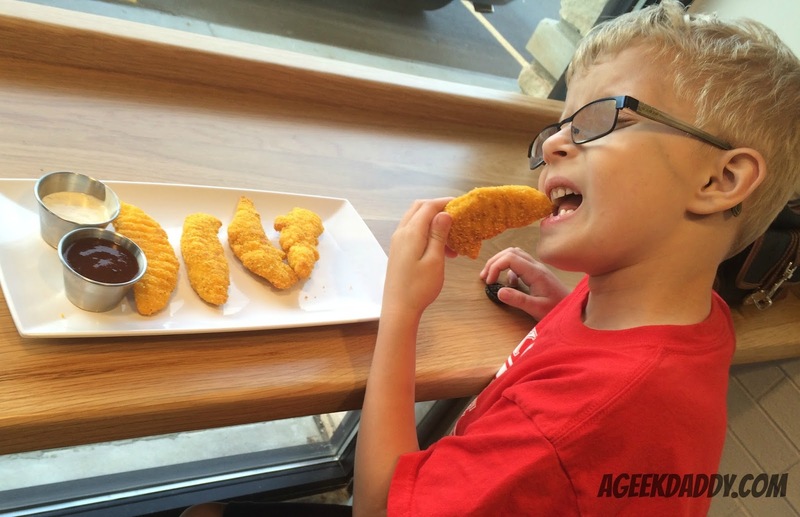 Fortunately, nkd pizza also has chicken tenders on their menu that my son really enjoyed. When it comes to their pizza there are 10 house selections to choose from, such as Margherita, Road-House & Oahu, or you can build your own customized pie. We built our own pizzas and they were delicious! You know nkd pizza passed the taste test when my daughter scarfed down a whole pizza by herself. My wife and I particularly enjoyed nkd pizza's unique crust combined with their house made tomato sauce. The reason nkd pizza's crust is so good is because it is made from an Ancestral Blend® of 10 grains plus agave fiber and probiotics (healthful bacteria like the ones found in yogurt for balance and digestive health) bound by water and made by hand at the restaurant. The grains they use include oats, brown rice, buckwheat, quinoa, amaranth, teff, spelt, tapioca, and two kinds of wheat. This combination of grains, fiber and probiotics creates a satisfying feeling when eating it because the ingredients provide a slow, sustained release of energy compared to the crash you may experience when eating other single grain, highly processed pizzas. nkd pizza really has a focus on healthy eating. They make your pizza by hand using fresh, all-natural ingredients. No artificial colors, additive or preservatives involved with making up these pizzas. 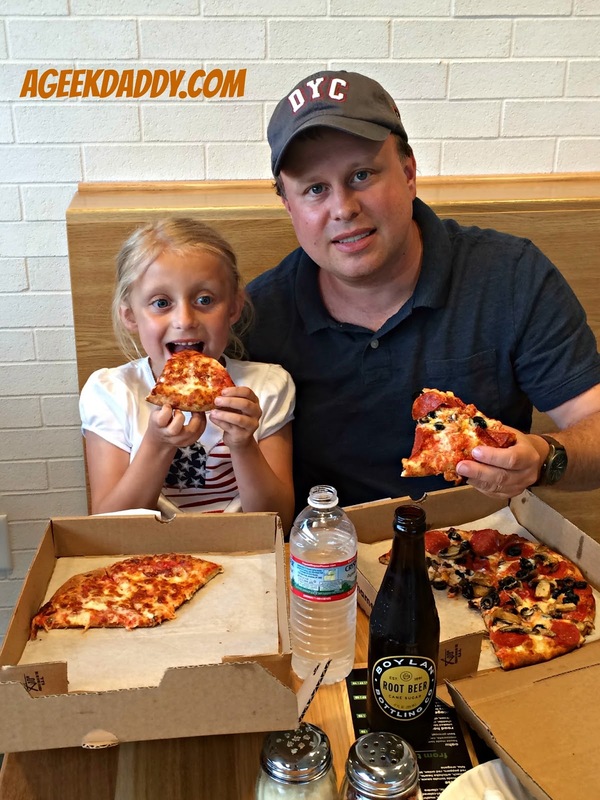 This focus on healthy eating also means that nkd pizza takes addressing food allergies very seriously which is appreciated by this family who deals with that topic on a daily basis. 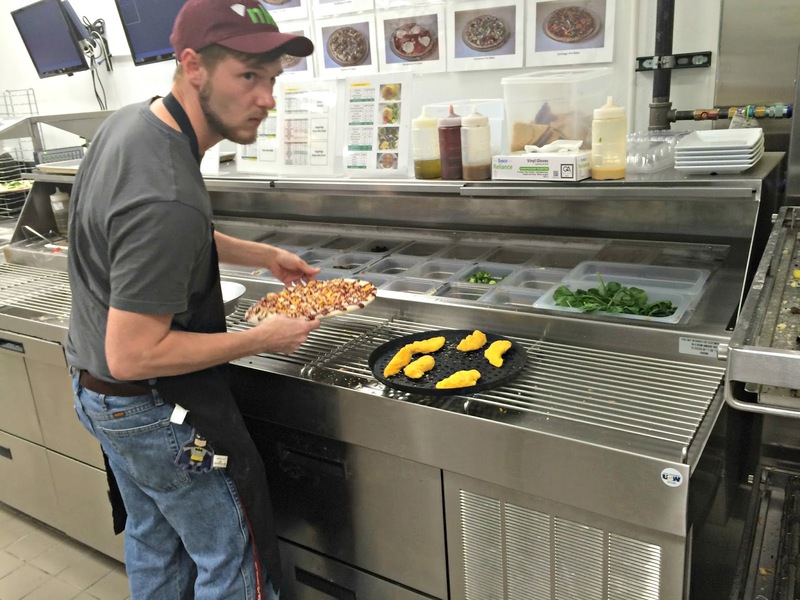 In fact, nkd pizza provided us a tour of the restaurant's kitchen to demonstrate their commitment to addressing allergy concerns and cooking with all natural ingredients. Often times restaurants just provide lip service in regard to customer concerns about food allergies but from talking to the staff and touring the kitchen, A Geek Daddy could tell that nkd pizza really gets it. They clearly understand that contamination is as important as ingredients are when it comes to food preparation safety. They've made sure that their primary menu is peanut / tree nut ingredient and contamination free. Dairy free options are also available. Also there is a gluten free option for almost every pizza option on the menu. Of course when dealing with food allergies nothing can ever be easy. Unlike its main menu dough which is made on-site, nkd pizza purchases the gluten free dough from a vendor that processes it in a facility with tree nuts. 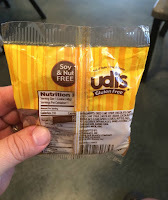 So the utensils, pans, and ingredients need to be segregated to avoid contaminating the gluten free food with wheat used to make the customized Ancestral Blend® breads and crusts in the kitchen and to avoid the main menu food coming into contact with the dough used for the gluten free pizzas which was made in a facility that also processes tree nuts. 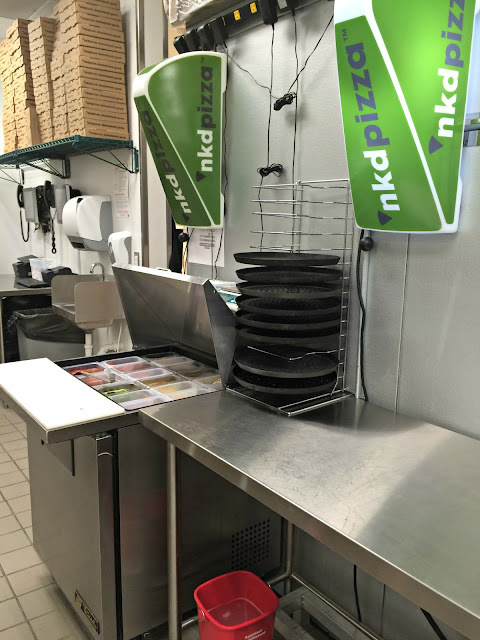 nkd pizza does a nice job of accomplishing this by having separate preparation areas and not allowing equipment to be co-mingled within the kitchen. At last a restaurant that understands the concept of avoiding food allergy contamination within the kitchen! 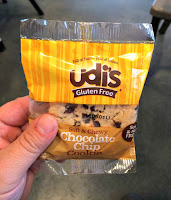 Understanding that people with food allergies are often suspicious of baked goods for deserts, nkd pizza only provides packaged treats that contain ingredient labels and allergy warnings on them. Catering to a food allergy clientele, their deserts are gluten, peanut and tree nut free. While their pizza and salad menu can accommodate most food allergies, the desert option does contain milk and egg as a heads up for people with those allergies. Also if you have a soy allergy both the main course pizzas and the gluten free options have it as an ingredient so this probably isn't a restaurant for you. All in all though, nk pizza does a very nice job of trying to be an accessible restaurant for most people with food allergies based upon all the variations of this medical condition. They also provide a very thorough allergen alert listing on their menu to assist consumers with food sensitivities. 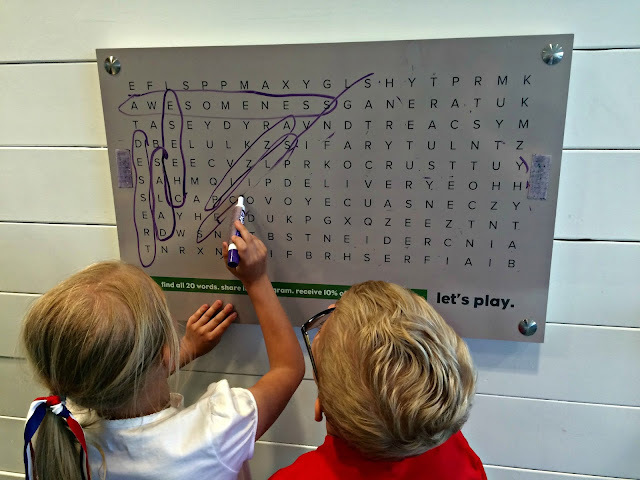 When dining in while you are waiting for your order to be prepared have some fun playing the word find game by the cash register. If you can find all 20 words you can get 10% off a future order! If you don't feel like going out for dinner, nkd pizza delivers. They will bring your meal to you for just a $1.50 delivery charge + optional driver tip. Currently there are two Metro Detroit locations, Sterling Heights and Shelby Township, with plans for additional restaurants in the near future. Both the Shelby Twp. and Sterling Heights restaurants will deliver within a 2 mile radius of their location. nkd pizza isn't marketing itself as a gluten free or food allergy friendly restaurant. It's focus is being a healthy eating destination and part of that motif is making sure their food is accessible and edible for as many people as possible. So you don't need to have a food allergy to find a visit worthwhile! Their being proactive to these constituencies is a value added bonus to the restaurant's commitment to a health-conscious menu. 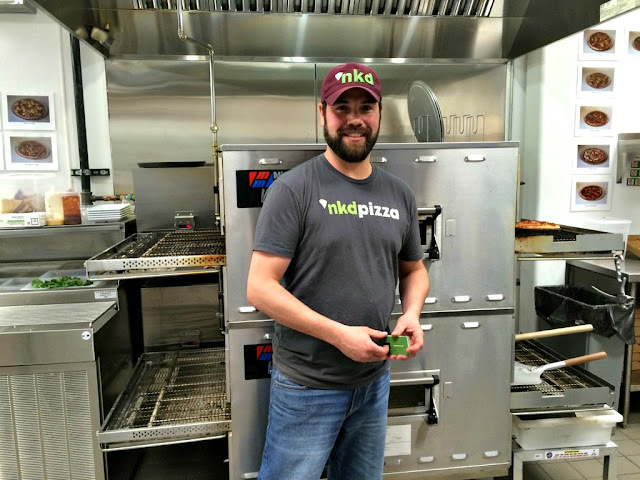 nkd pizza delivers, not just to your home or office, but in providing great tasting food with a focus on fresh, natural ingredients that people with a variety of food allergies can feel comfortable partaking in. The best part about the place though is that my family just flat out enjoyed our meal during this family night dining out. 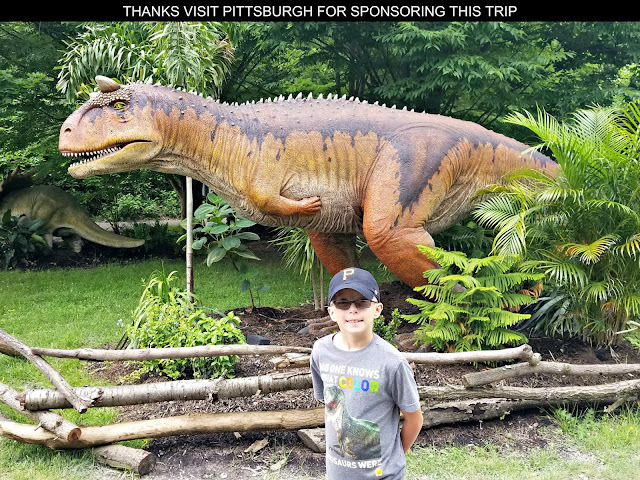 For more information, sign up for their e-club which will send information about promotions and special insider perks to your email inbox by visiting www.nkdpizza.com/eclub. A Geek Daddy was invited to nkd pizza for a complimentary family dinner and tour of the newly opened Sterling Heights location to assist with facilitating a blog review. Opinions expressed in this review are honest and my own. P.S. 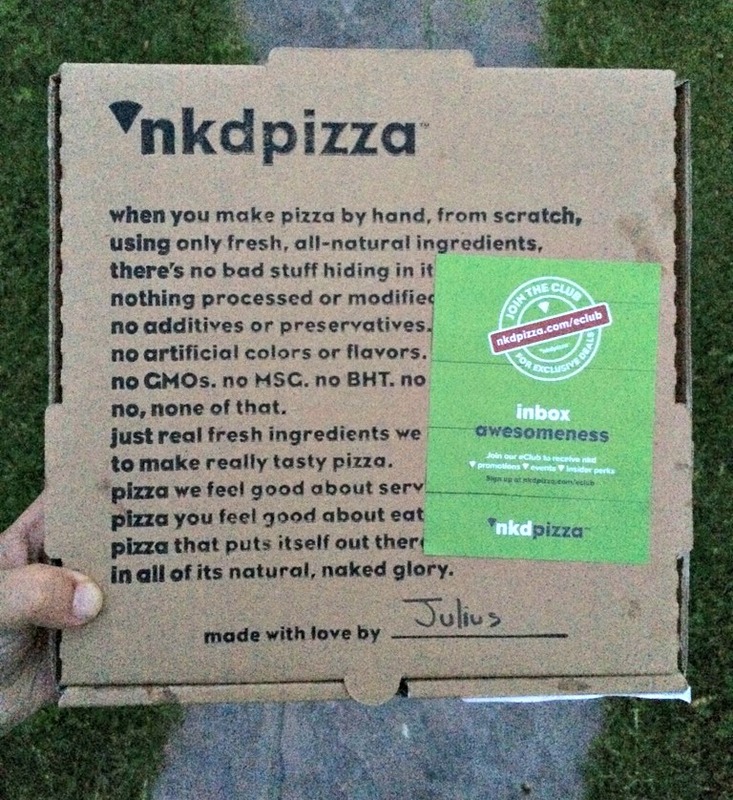 nkd stands for "Naked" because the pizzas are au naturale when it comes to their preparation and ingredients.